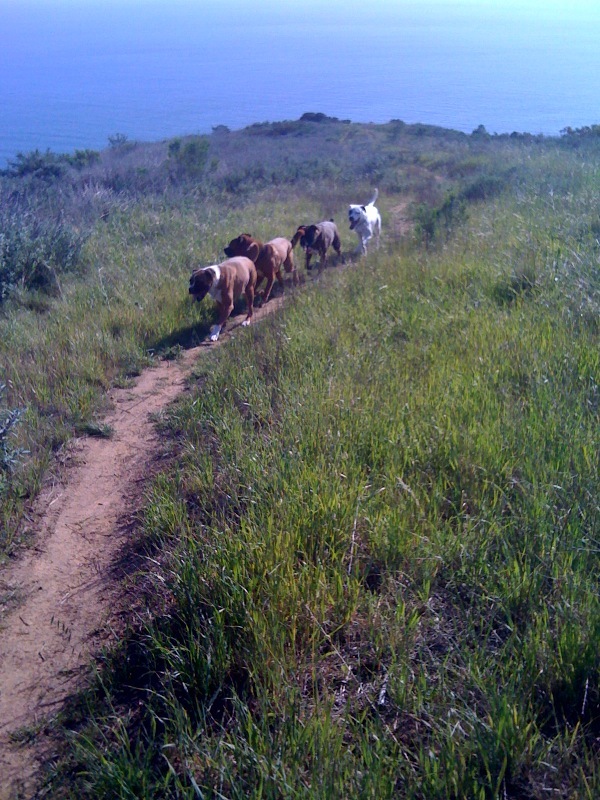 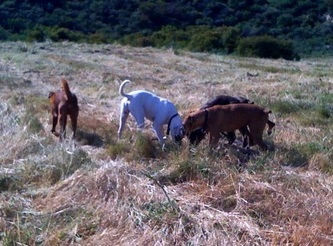 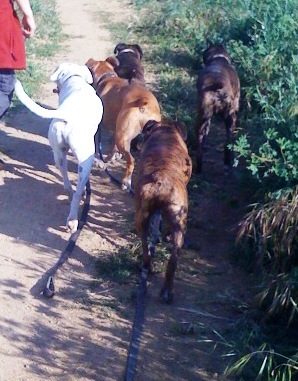 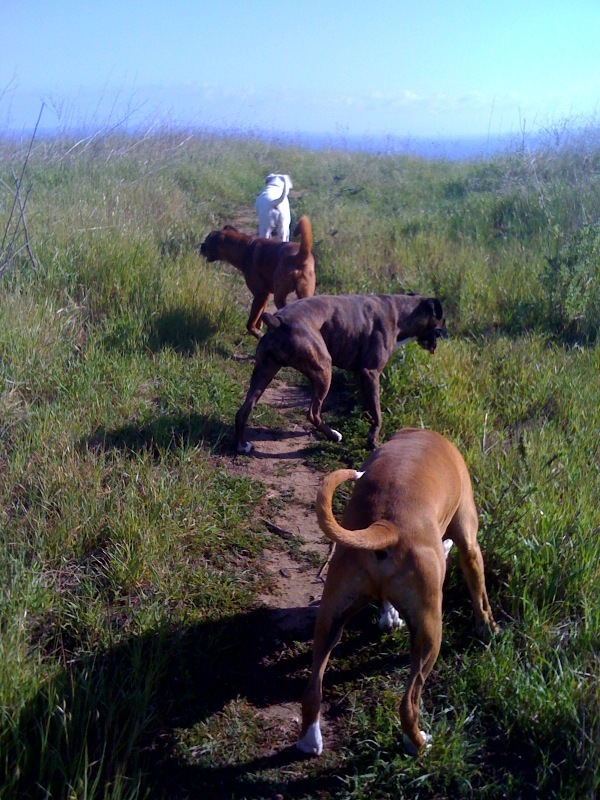 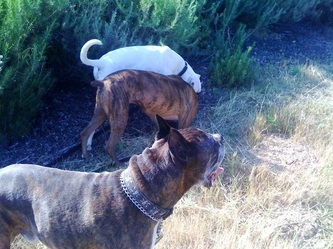 Rocco has a few good buddies and he loves to hike with them. Does Rocco like to kiss? The transformation from frightened, insecure dog with his tail between his legs ALL the time to what he is today is more than amazing. 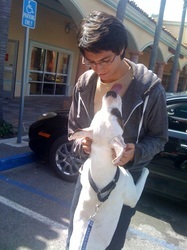 Turns out the real Rocko is a kisser. 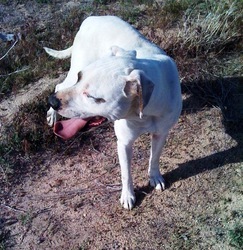 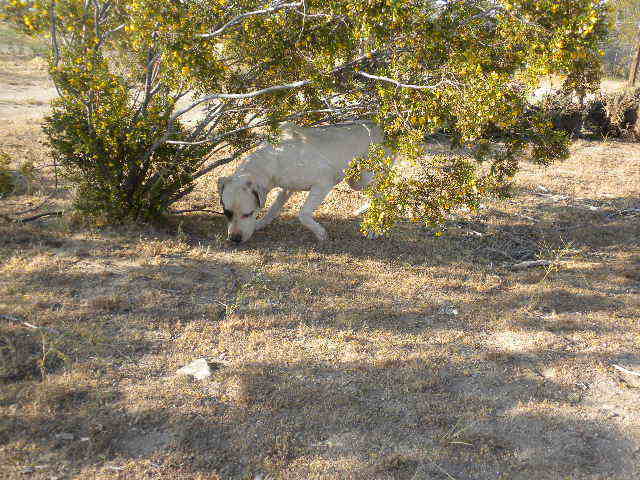 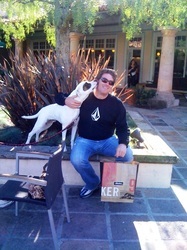 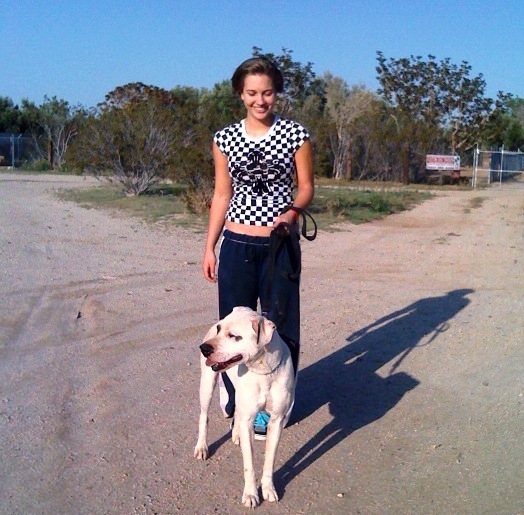 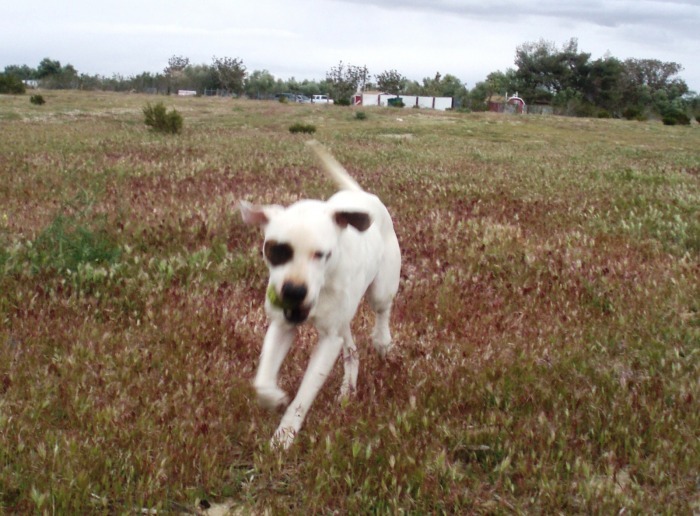 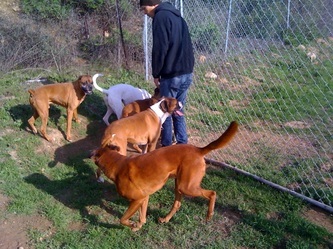 Even though the ranch is so good for him, we would like to have him in a foster home or in a permanent home very soon. 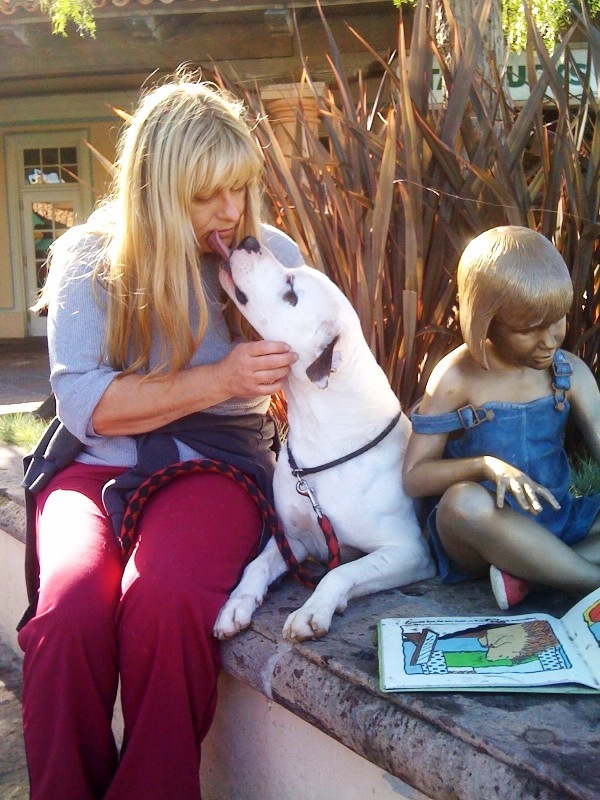 Rocco came to us as a frightened and unsocialized pup. It has been heartwarming to see him blossom into a fun, outgoing, friendly boy. 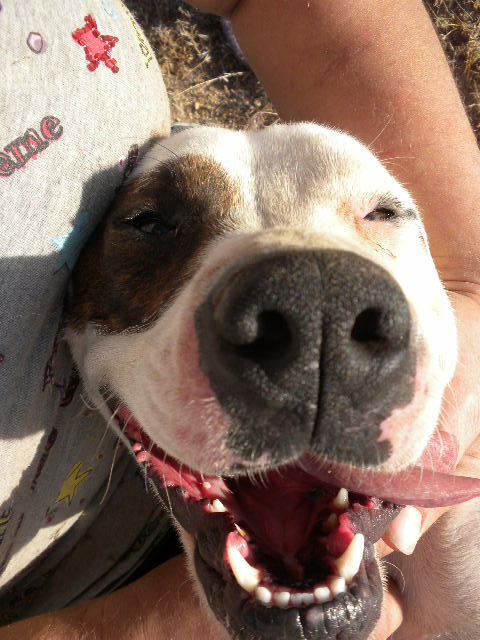 Under the guidance of his foster mama his self-confidence has shot through the roof. 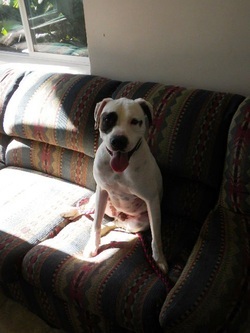 This happy-go-lucky young buck is ready to start a life full of fun, love and play. 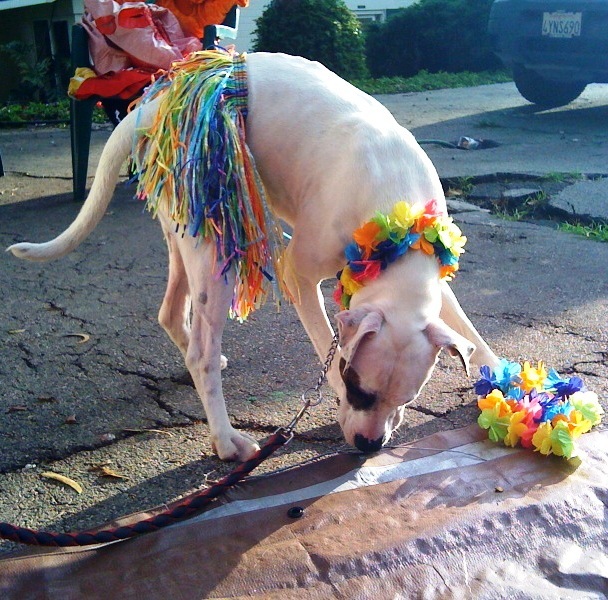 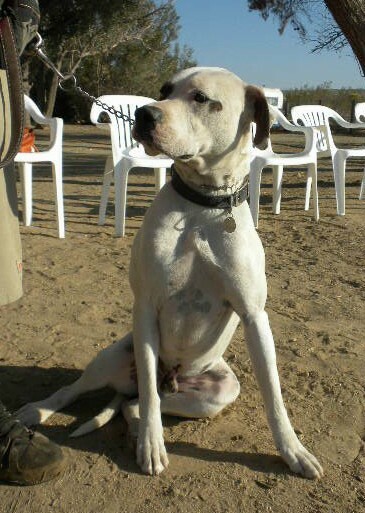 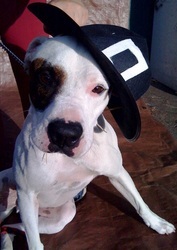 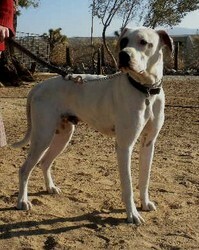 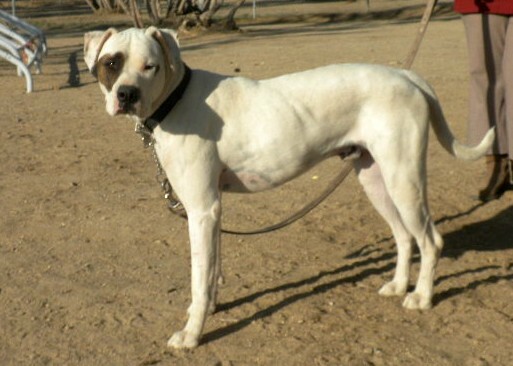 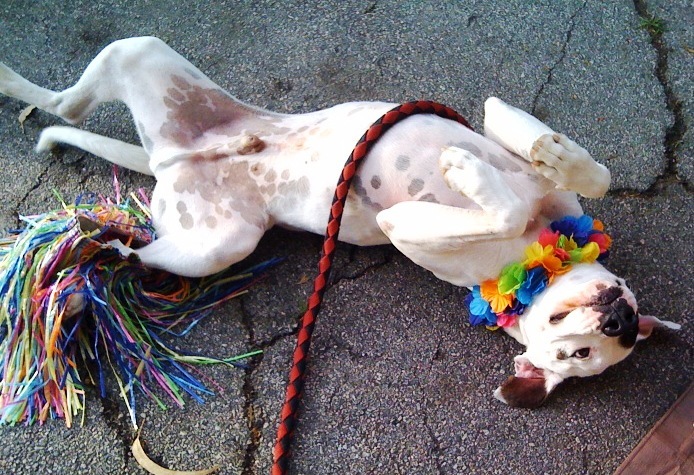 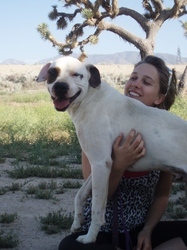 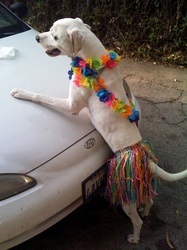 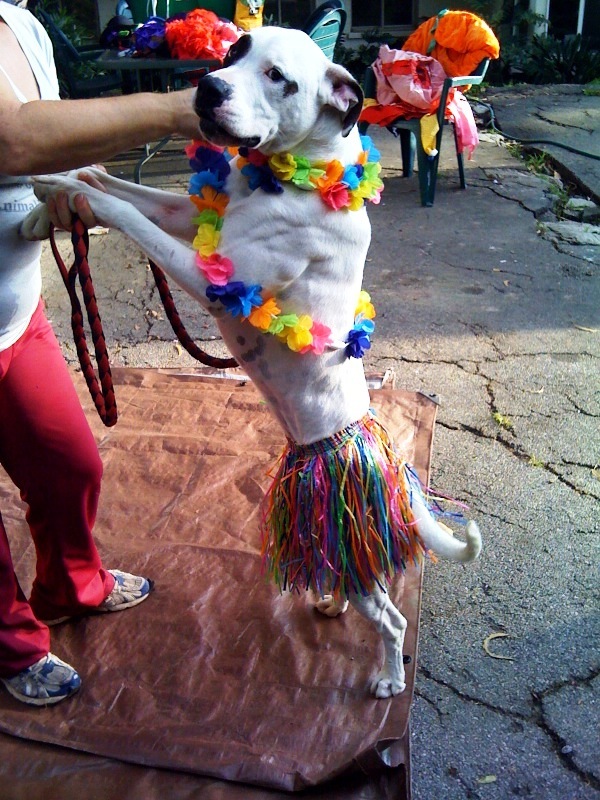 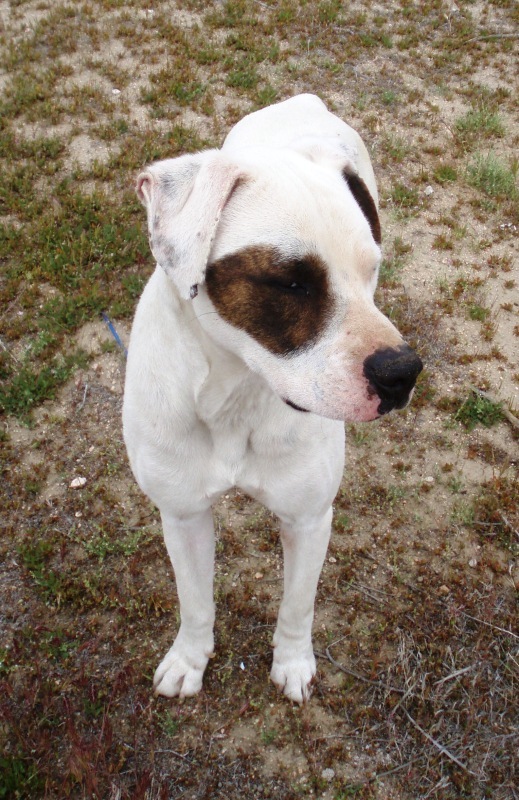 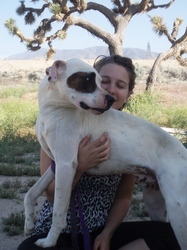 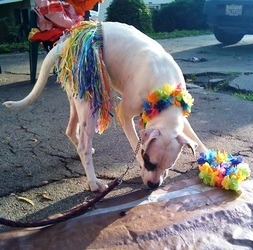 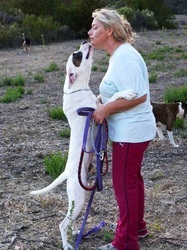 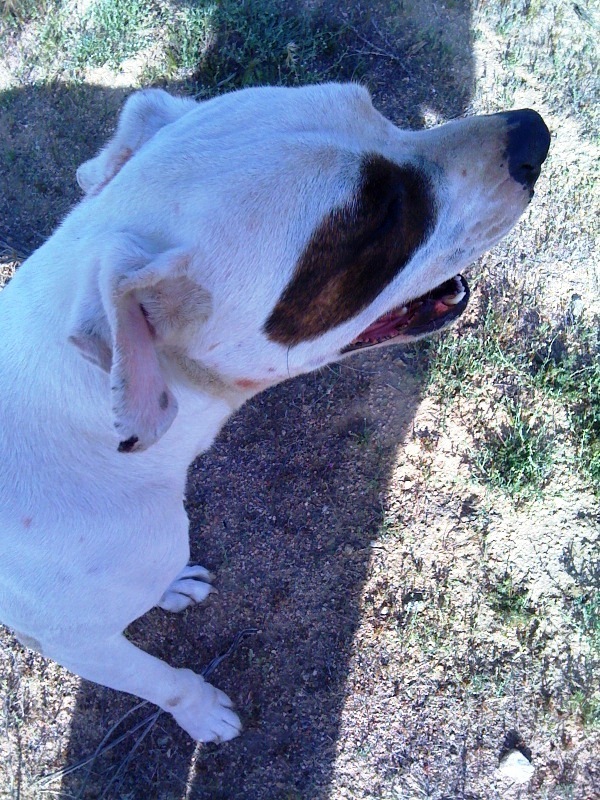 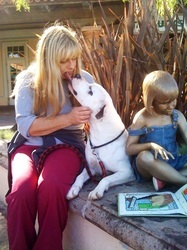 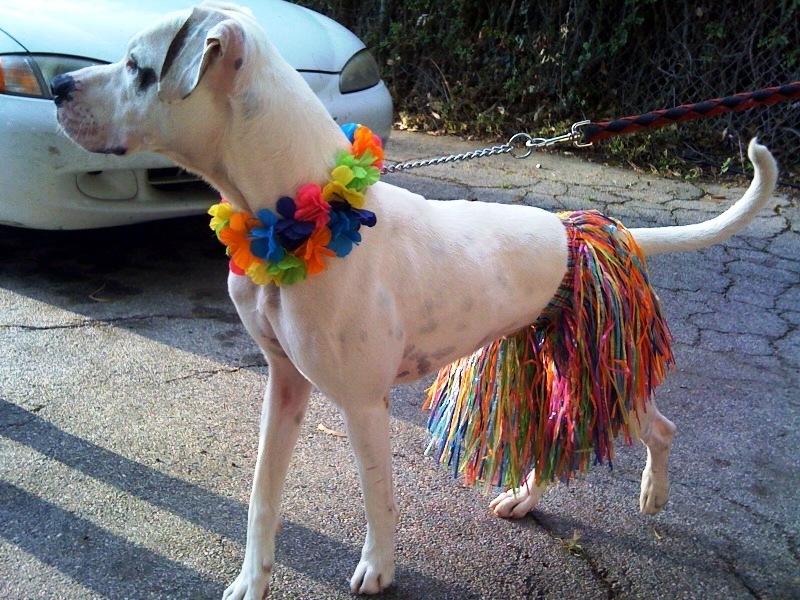 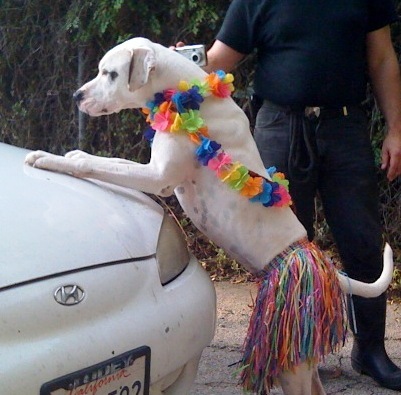 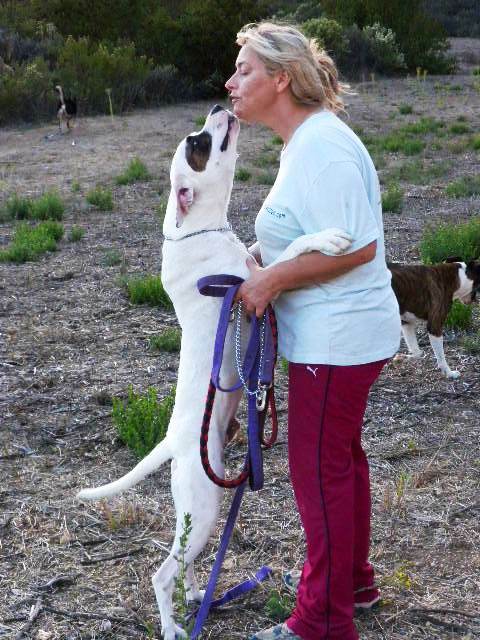 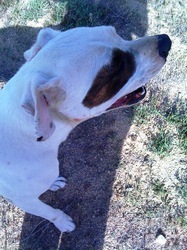 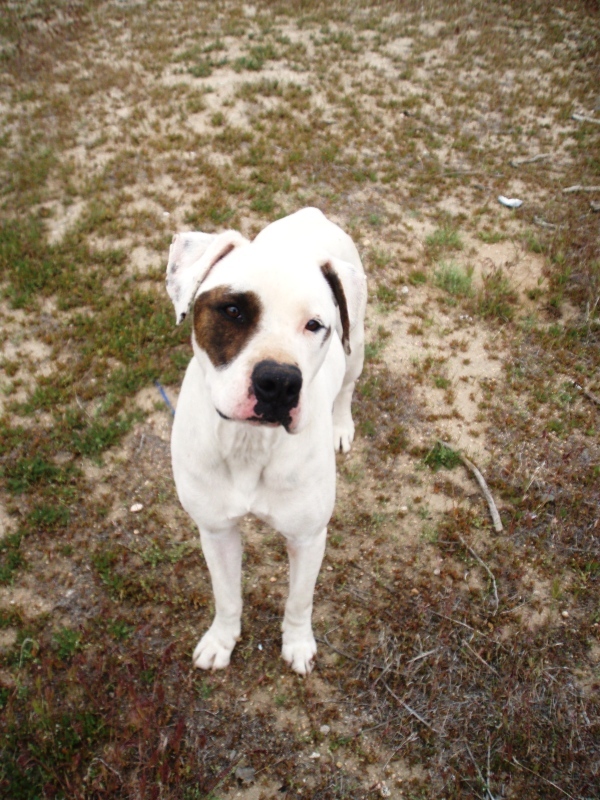 Rocco is a 3 - 4 year old American Bulldog mix with tons of energy and affection to share. 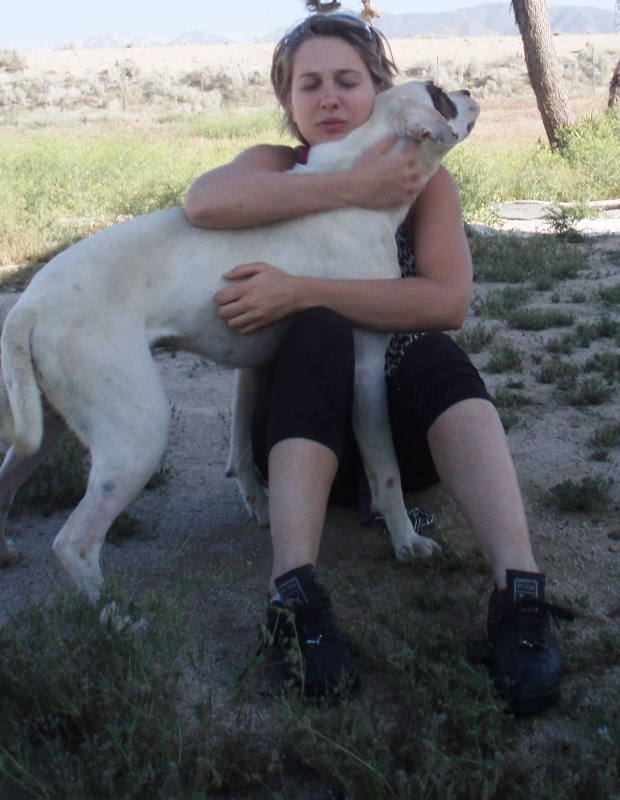 He bonds very easily and can sometimes become overly protective and territorial. He will need an experienced person who understands his tendencies. 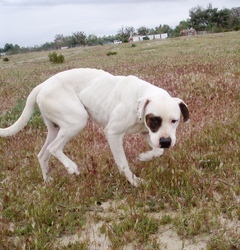 Though Rocco is currently living with other dogs he is choosy about the ones he likes and can be overly zealous when confronted with a pooch that is not to his liking. 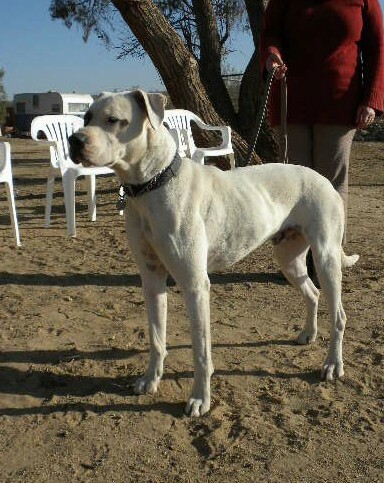 An active home would be perfect for this big strong boy. 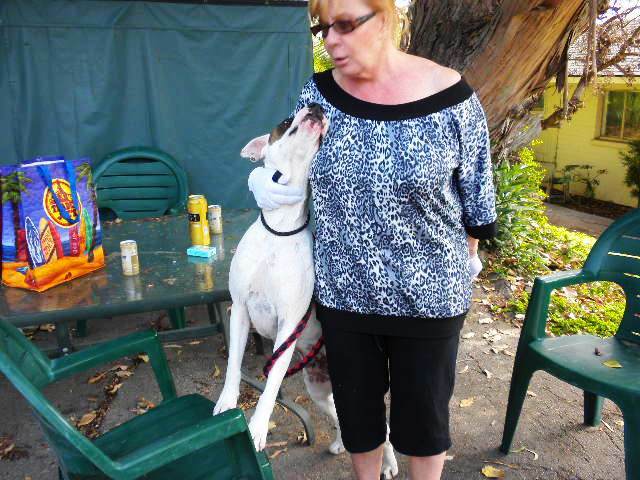 Rocco is one of the most loyal dogs any of us have known. If loyalty is a virtue that appeals to you, Rocco is your dog! 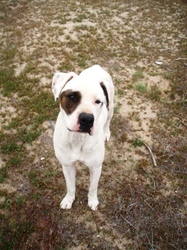 click the Donate button below to make a contribution for Rocco. 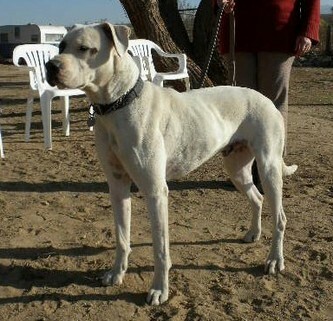 Don't forget to note it is for him!